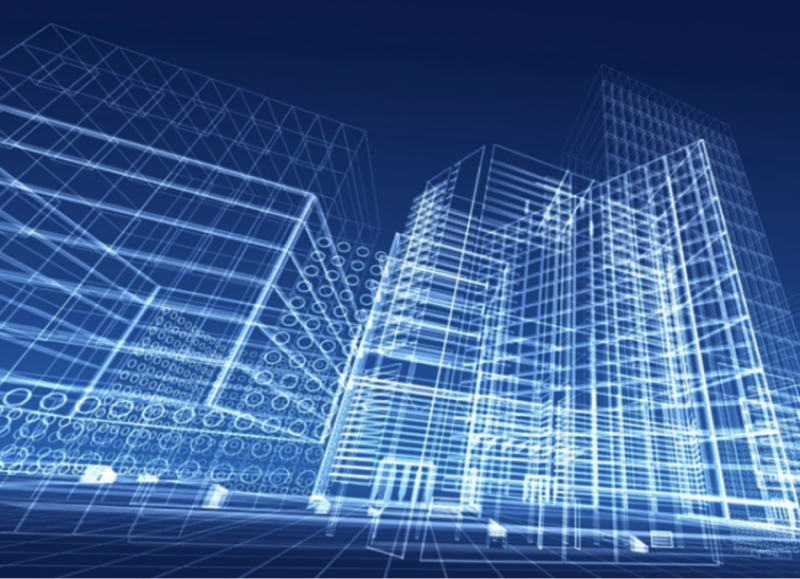 In the real estate industry, understanding how our buildings are used is critical to understanding how to manage our buildings. What is IoT and why is it useful to workplace planning? IoT = Internet of Things: The interconnection of computing devices embedded in everyday objects, enabling them to send and receive data via the internet. In the real estate industry, understanding how our buildings are used is critical to understanding how to manage our buildings. Buildings may be built of brick and mortar, but they are not static; they constantly evolve based on the needs of their occupants. People change their schedules and their locations within a building; and the people and technology that they need access to change too. For building owners, understanding how your second highest investment (your real estate) interacts with your highest investment (your people) is critical to your company’s long-term financial success. Do you have too much space? Not enough? The right type of space? The right quality of space? These are all questions that you need a good source data to understand, and the dataset should allow you to trend how your building is used. This trending data empowers your workplace planning team to spot opportunities to make meaningful changes. Workplace planners need a device to collect data. Rather than adding a ton of sensors to a building – or worse, to people – designers need something that is in every room, and that indicates how the space is used. The answer is likely above you right now. It is indicating that you are present, and is tuned to the needs of your current task. The answer, of course, is the lights. IOT lighting data can help owners establish a workplace design strategy. While this isn’t the typical use-case for lighting system data, it can be used to understand space utilization and adds a powerful dimension to workplace planning and decision making. Whether a light is on or off indicates if the room is occupied. The number of fixtures or lighting scenes that are used in a room will indicate the type of function that is occurring in that room. The total hours of fixture use can indicate the utilization of the space and, in the case of multi-use spaces, the most frequent activities that users engage in. When all the above is tracked, trended, and analyzed, you will understand: which spaces in your building are used the most; which spaces don’t get used at all; and what type of spaces are over-used, potentially leading to resource constraint that your employees need to do their work. Trending the data across a building or campus will allow you to optimize your investment in changes to your real estate, perhaps allowing you to invest in a new way of using your space based on the best data sources available: your employees. That’s better than investing in a new building! The cost to implement an IOT lighting system can be reduced through the advancement in LED technology. Using LEDs reduce power consumption plus LED lights offer more options as to how to power those lights. LEDs are so efficient that it is possible to power them using an ethernet cord, eliminating a traditional power cord. Called Power Over Ethernet (POE), you can both control and power an LED light with one cord instead of two. The cost to install a power cord is the same as the cost to run Ethernet, and it eliminates the need for wireless or additional control wires in the fixtures – which results in a lower cost of installation. 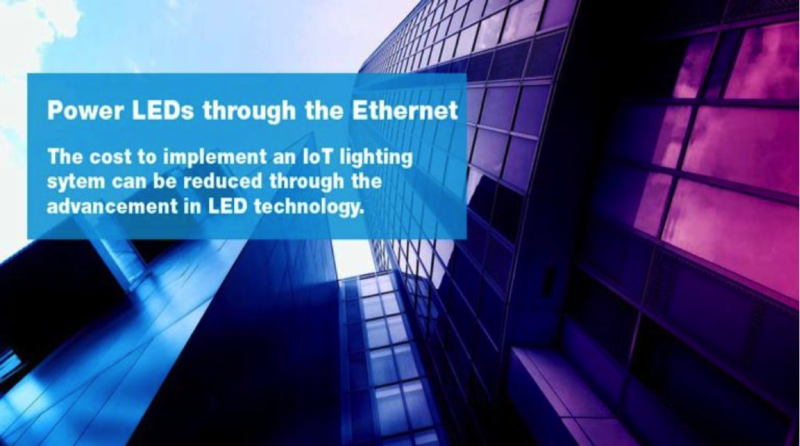 And using POE, light fixtures are suddenly accessible for IoT uses because they are connected to a two-way data line. Once you have Ethernet connectivity to every fixture, the controllability and data collection opportunities sky rocket. You don’t need smart fixtures – you need just one centralized smart controller that sends, tracks, and trends fixture use. Once connected to a cloud-based interface, facility managers and building owners are granted instant information on their building utilization. Simply add POE technology to your next lighting upgrade, and you’ll open a whole new data source for your workplace design strategy team. 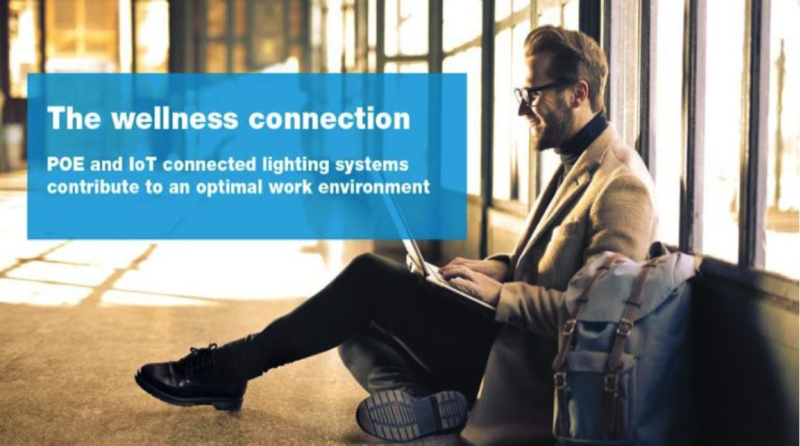 POE- and IOT-connected LED fixtures can be used to increase health and wellbeing along with optimized energy performance. LEDs can modify the spectrum of light being supplied, which in combination with dimming capability, allows a lighting designer to optimize a space for human cognitive performance. Humans evolved outdoors for thousands of years before moving inside to work under artificial lighting. People perform better, feel better, and enjoy their surroundings more when connected to nature. And natural light has thousands of permeations a minute, and constantly changes to reflect the time of day, weather, and surrounding surface reflections. LEDs can be tuned to match the natural cycles of daylight, with blue hues in the morning giving way to red hues in the evening. 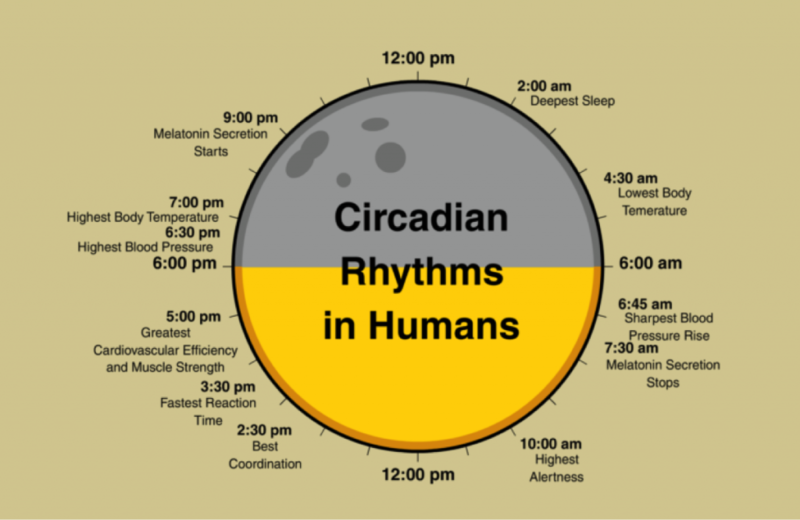 This circadian lighting pattern allows interior spaces to mimic the natural rhythms of the outdoors. Programming artificial lighting to match natural light, has proven to improve cognitive performance. It can also help building occupants to wake up, fall asleep quicker at night, and stay refreshed longer. IoT-connected lighting is more than a technology trend; IoT-connected lighting allows us to find new uses for old things and reframe our understanding of items that were once viewed as static. Lights, their power, and their controls can provide a rich data source that will allow you to optimize your real estate and your people, which improves the future of your business. IOT-connected lighting takes the guesswork out of many real estate needs, contributing to sustainability and wellness. The EPA announced the sixth annual list of the top 25 U.S. metropolitan areas with the most ENERGY STAR certified buildings. The cities on this list demonstrate the economic and environmental benefits achieved by facility owners and managers when they apply a proven approach to energy efficiency to their buildings. The Top 10 cities on the list are: Los Angeles; Washington, D.C.; Atlanta; New York; San Francisco; Chicago; Dallas; Denver; Philadelphia; and Houston. Energy use in commercial buildings accounts for 17 percent of U.S. greenhouse gas emissions at a cost of more than $100 billion per year. ENERGY SSTAR-certified office buildings cost $0.50 less per square foot to operate than average office buildings, and use nearly two times less energy per square foot than average office buildings. The data also show that more than 23,000 buildings across America earned this certification by the end of 2013. These buildings saved more than $3.1 billion on utility bills and prevented greenhouse gas emissions equal to the annual electricity use from 2.2 million homes. First released in 2008, the list of cities with the most ENERGY STAR-certified buildings continues to demonstrate how cities across America are embracing energy efficiency as a simple and effective way to save money and prevent pollution. Los Angeles has remained the top city since 2008 while Washington, D.C. continues to hold onto second place for the fifth consecutive year. Atlanta moved up from the number five to number three. For the first time, Philadelphia entered the top 10, ranking ninth. Commercial buildings that earn EPA’s ENERGY STAR must perform in the top 25 percent of similar buildings nationwide and must be independently verified by a licensed professional engineer or a registered architect. These certified buildings use an average of 35 percent less energy and are responsible for 35 percent less carbon dioxide emissions than typical buildings. Many types of commercial buildings can earn the title, including office buildings, K-12 schools, hotels and retail stores. Products, homes and buildings that earn the label prevent greenhouse gas emissions by meeting strict energy efficiency requirements set by the U.S. EPA. 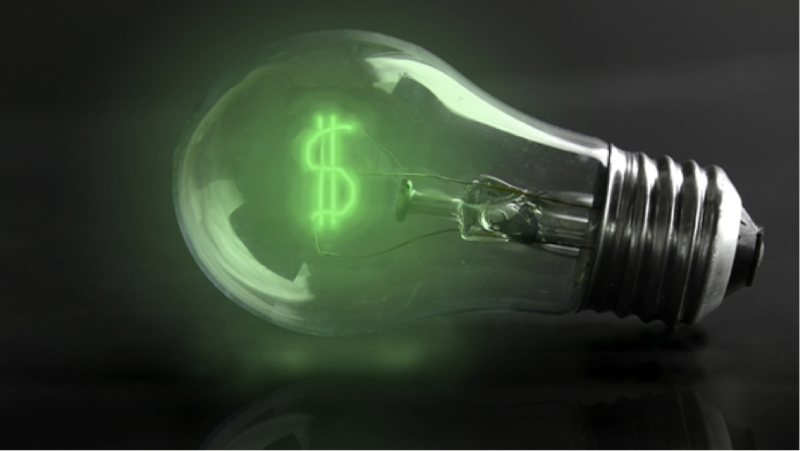 In 2013 alone, Americans saved an estimated $30 billion on their utility bills and prevented greenhouse gas emissions equal to the annual electricity use of more than 38 million homes with the help of ENERGY STAR. The label can now be found on products in more than 70 different categories, with more than 4.5 billion sold. More than 1.5 million new homes and 23,000 commercial buildings and industrial plants have earned the label.